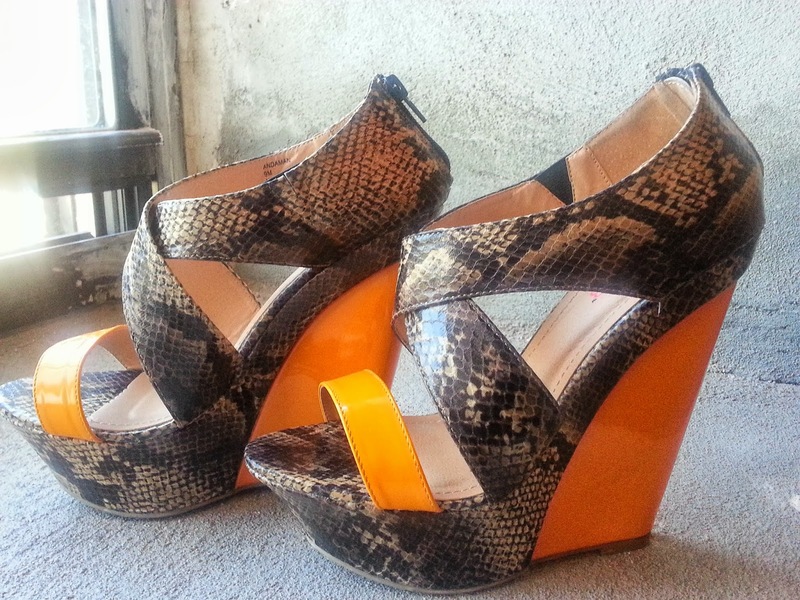 These are the Andaman wedges from JustFab. I got them about three weeks ago and they just make my day. I figured that even though it was about the end of summer, I can still make them work way into fall, possibly even wearing them with some dark opaque tights. The snake print and melon colored patent "leather" are a very different but beautiful combination. I love them.